Gain the advanced clinical knowledge and confidence to make a significant difference in diabetic wound outcomes in your practice. Becoming Diabetic Wound Certified® (DWC®) can help you save the lives and limbs of patients in your care. Be inspired and see dramatic improvements in your abilities with this WCEI® onsite or online Diabetic Skin and Wound Management course. This course leads to Diabetic Wound Certified® (DWC®) credential through the National Alliance of Wound Care and Ostomy® (NAWCO®) - a qualification that not only boosts your professional career, but can also significantly improve patient outcomes at your facility. The onsite classroom training also provides hands-on labs including total contact casting, diabetic nail debridement, and conservative sharp debridement. 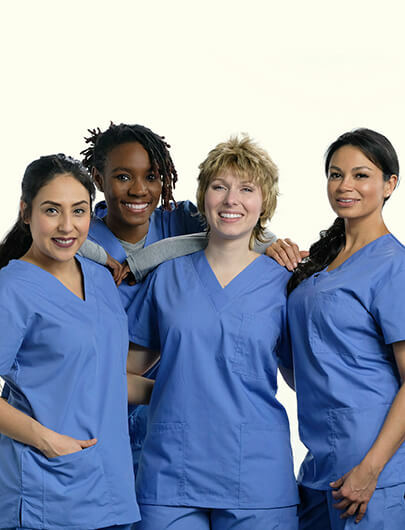 As a Nurse.com and OnCourse Learning Subscriber you will receive a $630 discount off the regular tuition rate and exam fees when you register using the discount code ONCOURSE.